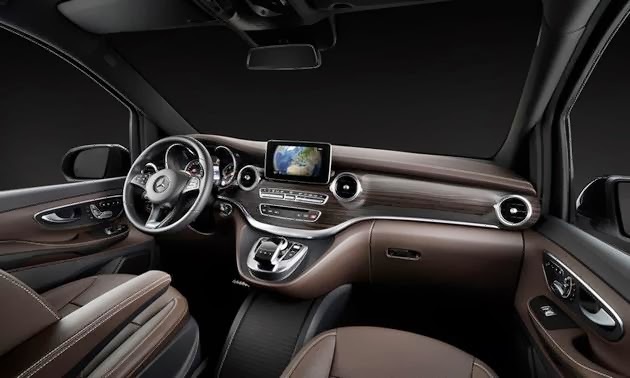 Mercedes Benz Introduces A New Way To Travel In Class. Few would admit they actually wanted a Minivan, yet the practical car-like van originally invented by Chrysler in the 1980's proved irresistible to many families. With the demise of the traditional station wagon, The Minivan became the conveyance of choice for those needing to seat 7, until the SUV and Crossover SUV's entered the market. The problem with SUV's, however, was that they didn't drive like a car. They were heavy, gas hogs and displayed handling characteristics that many drivers were just not prepared for - especially making long sweeping J-turns and praying to all the gods you could count you could keep the shiny side up. 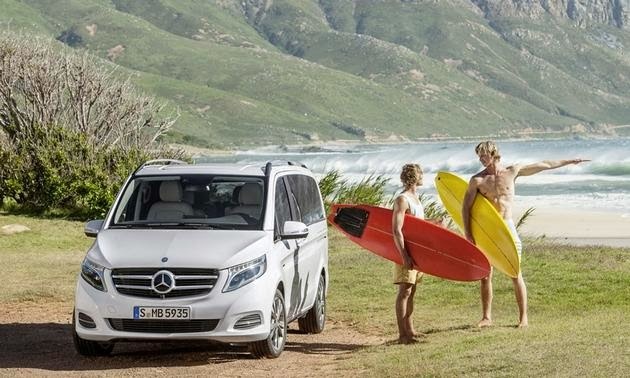 Mercedes - aware of the public disdain for the boxy Minivan - introduced the R Series in 2006 - a minivan that didn't look like one; The R featured four real doors and luxurious seating for six or seven in a pinch. 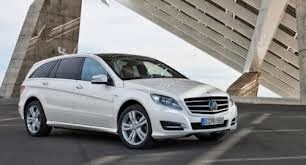 Unfortunately, sales proved less than robust and Mercedes withdrew the R Class from The USA in 2012. Both Chrysler and Volkswagen have attempted to market to the luxury Minivan buyer. 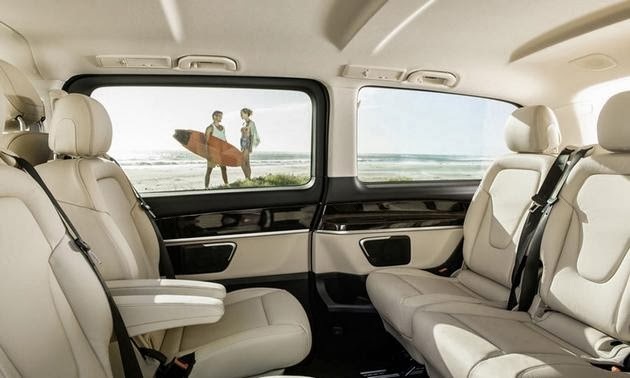 Chrysler has long marketed the semi-luxurious Town & Country, and Volkswagen actually partnered with Chrysler to produce a Town & Country based variant called the Routan - featuring distinct VW fascia and upgraded dashboard. 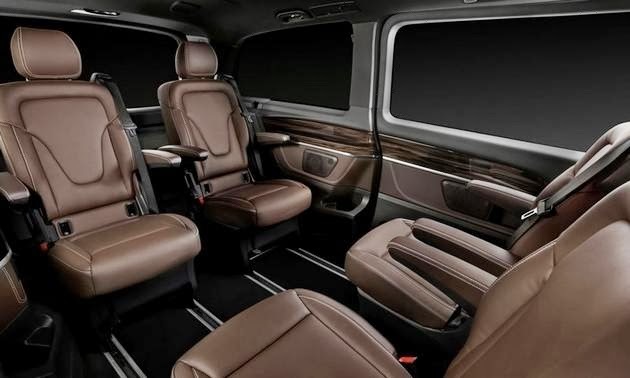 Now Mercedes is taking the Minivan where it has never been before - creating a super luxurious version with a sumptuous interior with limousine seating for six or seven: The V Class. is the 6 seat option package. Although no production dates for a US introduction have been confirmed, the van will be made available in two wheelbases for those desiring the ultimate in spacious travel. The van will be produced in Spain starting in 2015. 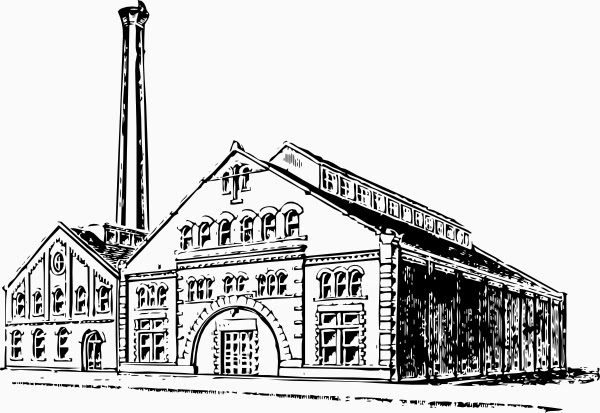 Pricing is expected to be approx $60,000.